The Tiger Collection features the memories of a number of veterans who fought in and against the Tiger. This short series takes a more detailed look at their experiences. 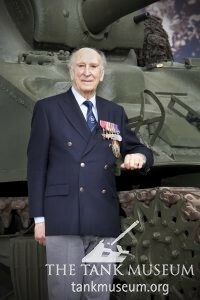 In Part Three British veterans, Ernest Slarks and Ken Tout discussed training and early combat. This fourth post focuses on their experiences on the battlefield. 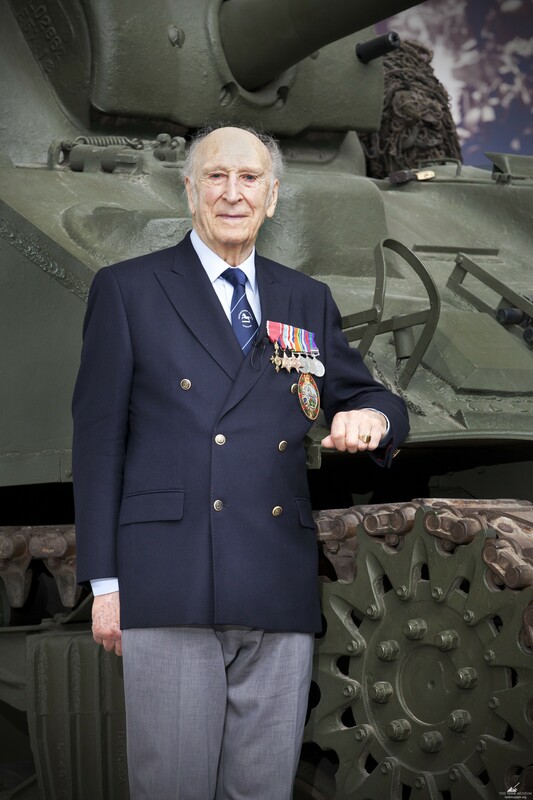 Ken Tout at the Tank Museum in 2014. Slarks and Tout both had fond memories of their food: “because they were American tanks, we had American rations and they were very good in big boxes…But the food was very good really.” Tout remembered particularly “that there were lots of tins of cling peaches, yellow cling peaches from California which were beyond anything that I had ever eaten as a child, I’d never seen them before. 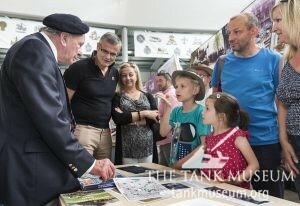 Ernest Slarks meets visitors to the Tank Museum in 2016. 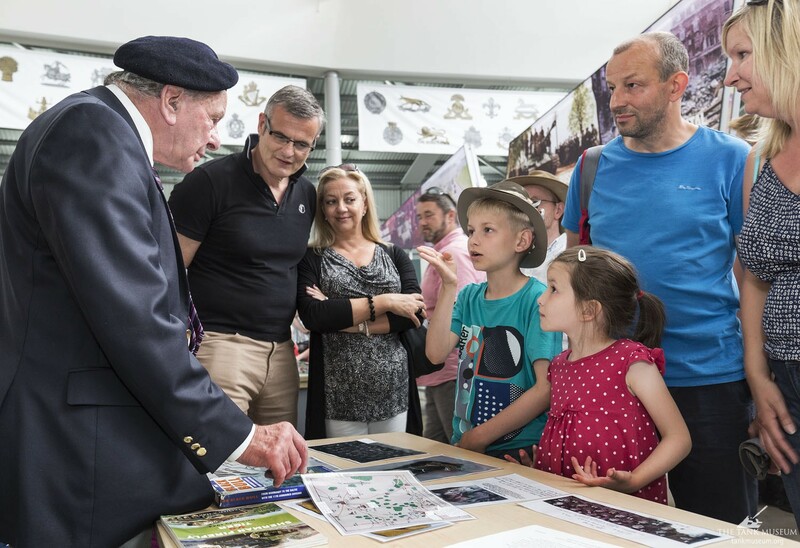 Find the experiences of the German veterans here and here. 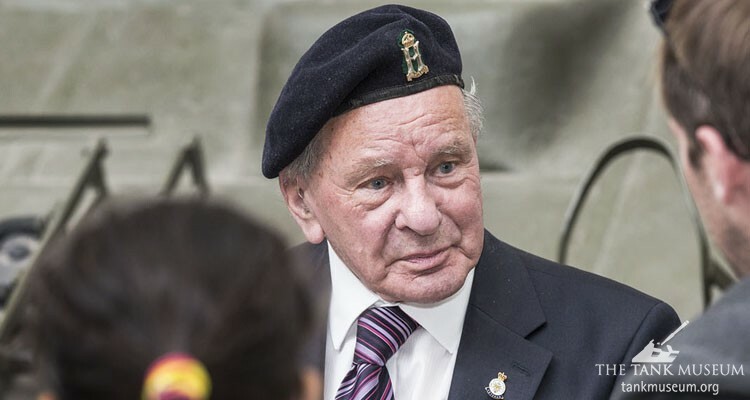 Read about the two German and two British veterans meeting at the Tiger Collection exhibition opening here. Read more about German and Allied tanks, as well as the history of tanks from their conception onwards, in the books below.